Needless to say the Nickle is perfect for everyday wear. 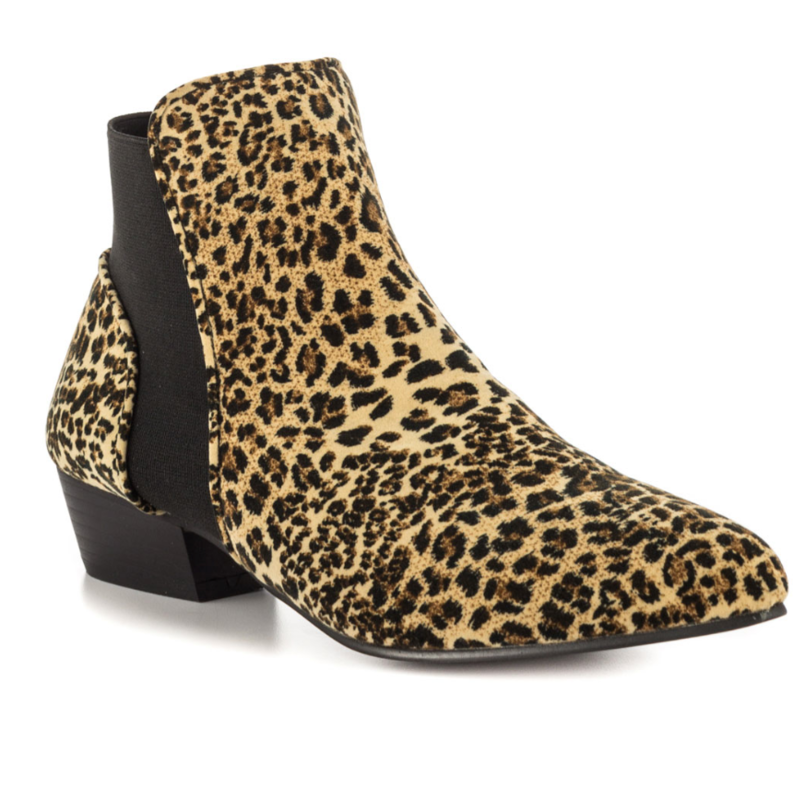 This Penny Loves Kenny ankle boot features a faux Leopard suede with elastic panel and simple rounded toe. Creating the final highlight is a 1 1/4 inch block heel.